” A car thief was forced to pull over after a couple miles in the stolen vehicle because twin boys, age 7, who were in the car attacked him, police said. “ One of the boys was punching the man in the face; the other was hitting him with a rubber snake,” Sgt. Javier Salazar of the San Antonio Police Department told ABC News. The car was swiped from in front of the home of Lucia Lozada Thursday as the mother was standing just feet from the vehicle. Her twin sons and a 1-year-old were buckled into the car as the family readied to go to church. The father had gone back into the house to get the baby a bottle. This monster served three years in Mexico for numerous killings and now he is our problem . Thanks Mexico , that is typical of how your country deals with it’s problems … send them north over the border to the US . According to the law both here and in Mexico this vermin has paid his debt to society and upon turning 18 will be free to walk the streets of America unmolested and unmonitored . ” When a cop has a history of sexual misconduct, one would think he’d either be let go or assigned a responsible partner to babysit him during his duties. That was not the case in San Antonio, Texas. Officer Jackie Len Neal had all the warning signs of a predator who abused his authority, but last week he reportedly tailed a teenage girl until she pulled over, then handcuffed her and raped her in the back of his cruiser. Why is a cop with a history of sexual misconduct still patrolling the streets ? ” On Friday morning, according to an arrest warrant affidavit, Neal allegedly tailed a woman until she pulled over on Betty Street and stepped out of her vehicle. He turned on his overhead lights and requested that she get back inside. The woman complied with the order but left her door open, the report said. During the pat-down, the affidavit said, Neal groped the woman, placed her in handcuffs and moved her to the back of his patrol car. The document said he then raped her and instructed her not to tell anyone. Drip , drip , drip goes the respect American’s held for authority … right down the drain . ” Chronic electrical surges at the massive new data-storage facility central to the National Security Agency’s spying operation have destroyed hundreds of thousands of dollars worth of machinery and delayed the center’s opening for a year, according to project documents and current and former officials. ” In a hard-fought football game earlier in the evening, Brandeis had defeated O’Connor by a score of 12-10. Whatever the case, things escalated into utter chaos amazingly quickly. Students hurled drinks, trays, fries and pretty much everything else. They also shrieked and took cover, inasmuch as taking cover is possible inside a Whataburger. ” On June 2nd, there was a large house fire at Morningview drive, in San Antonio, Texas. 3 children were staying at their grandparents house, when a fire started from an unknown cause. The grandparents managed to rescue 2 children from the house, and accidentally left a nine month old boy. ” An alleged former Hezbollah commander who was attempting to infiltrate the US Defense Department has been arrested in San Antonio, Texas, according to the FBI. The alleged Hezbollah commander’s name is Wissam Allouche. In an exclusive interview with Breitbart News, FBI Spokesman for the San Antonio division, Special Agent Erik Vasys, confirmed that the individual was trying to obtain a sensitive government position. ” As always with the Defensive Gun Use Report, we go past gun statistics to show real word examples of everyday citizens using guns in self defense. Despite the fact that they happen every day, Defensive Gun Use stories are often hard to find. They typically get only local coverage, sometimes as little as a small blurb in the local paper. If you see a Defensive Gun Use story and would like to help make this report as comprehensive as possible, send it to us through the Contact Us form below, through Gmail (easybakegunclub@gmail.com), or through Twitter or Facebook. Yes, we leave some stories off because they are ambiguous or simply don’t have enough information to call them defensive gun uses. It’s that whole, they barely get covered issue. SAN ANTONIO — A pair of burglars got more than they expected when trying to haul away a big screen TV from a home in San Antonio. A neighbor spotted the burglars and confronted them with a shotgun. As you might expect, the men dropped the TV and took off running. They were later arrested. The homeowner was at work at the time. He said he wished he had been home to confront the crooks, but he was very grateful to his neighbor. ” Set against the backdrop of a national debate over gun control, a shooting early Tuesday in a Stone Oak-area subdivision that left one burglary suspect dead and another critically injured didn’t just spark talk about the incident itself but about the best way to keep from becoming a victim. Life on Lightstone Drive had returned to normal Tuesday afternoon for the neighbors of Roger Bond Pemberton, who shot at the two men he believed were trying to take his SUV, police said. The crime scene tape no longer blocked access to his neighbors’ homes. The detectives, evidence technicians and patrol officers all were long gone. But the 1:50 a.m. shooting still was the talk of the street. “If it was a legitimate theft I support what he did,” neighbor Michelle Harms said. 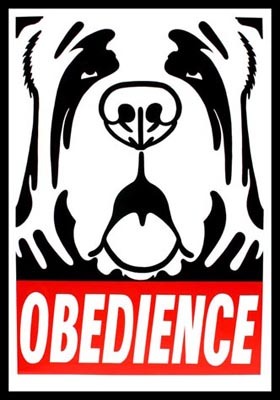 ” A federal judge made a ruling this week that has a decidedly Orwellian touch to it. US District Judge Orlando Garcia ruled on Tuesday that the San Antonio Northside School District can require that its students wear devices with RFID locator chips embedded in them while on school premises. The decision has raised privacy concerns among conservative and liberal privacy-rights groups. The saga began when 15-year-old magnet school student Andrea Hernandez refused to wear the device while attending Jay High School. School officials expelled the sophomore for not complying with the rule that is required of all students on campus. The case ended up before Garcia who also refused to block the student’s expulsion pending review by the courts. The Rutherford Institute of Virginia represented the student in federal court. The institute said that the ruling was clearly in violation of the student’s privacy rights and it would appeal the decision. ” After a student protested a pilot RFID tracking system in San Antonio, lawyers are now moving to stop expulsion. John Jay High School sophomore Andrea Hernandez was expelled from her high school after protesting against a new pilot program which tracks the precise location of all attending 4,200 students at Anson Jones Middle School and John Jay High School, according to Infowars. 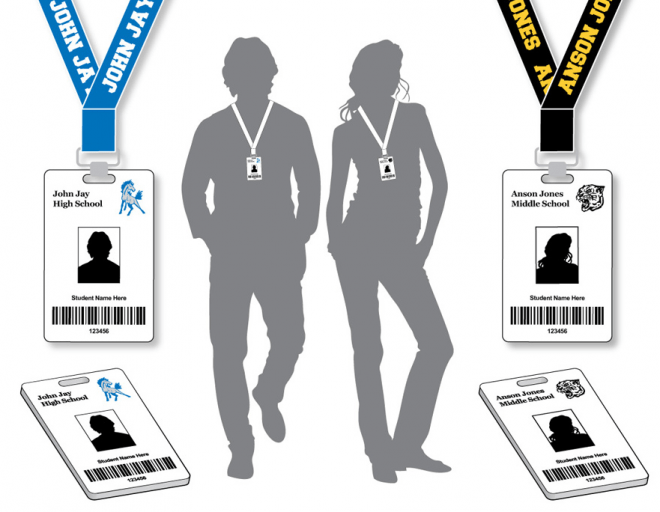 Under the “Smart ID” program, ID badges have been issued with a tracking chip, which students must wear when attending school. The school badges, worn like a necklace, contain a Radio Frequency Identification (RFID) chip and links to their social security number. This allows the school to track the student’s location after leaving campus and for as long as the badge is on the student’s person. “This “smart” ID card will transmit location information of students to electronic readers which are installed throughout the campus. This is so that we always know where the students are in the building.